It seems that Queensland has been quite well served when it comes to our judiciary. Here is a residence built for a judge who, at the request of the governor of Queensland, was brought out here from England in 1863 to become chief justice of the colony. From all reports, he did a superb job for fifteen years, was knighted as a result (in 1869), then retired back to England. 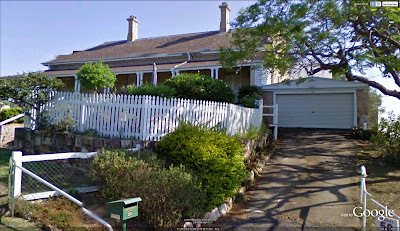 His name was James Cockle, and this is the house "Oakwal" that was built for him in 1864. 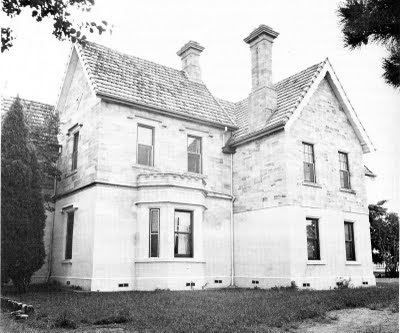 The reason that Queensland's Governor Bowen implored England to provide a judge who could be made chief justice was that he was unhappy with the antics of the resident Supreme Court judge at the time, Alfred Lutwyche. Bowen felt that, although his bench work was without controversy, Lutwyche was a volatile man who had politicised the judiciary by making derogatory comments about the parliament and politicians that usually found their way into the newspaper. By contrast, James Cockle was a "dignified, imperturbable and scrupulously impartial judge, highly respected by the Bar and the general public", according to his biography. 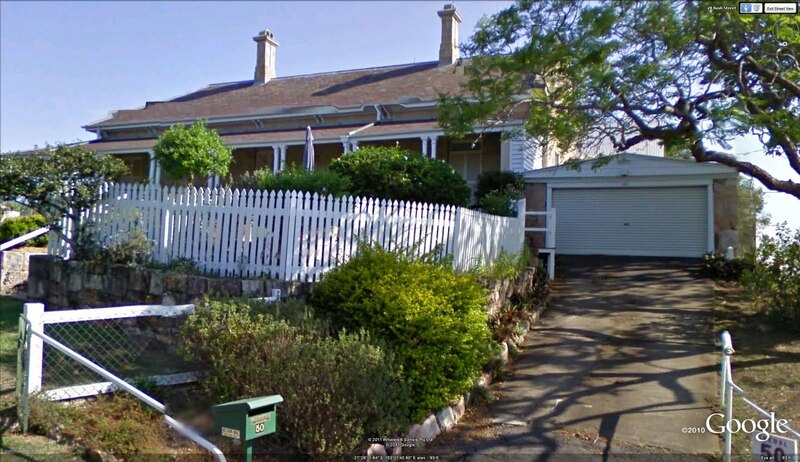 The contrast between the two residences is as marked as that between the two men. 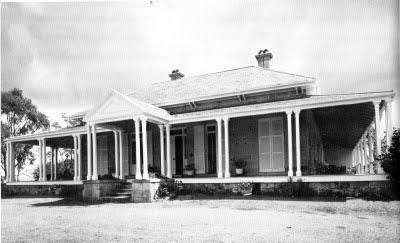 Cockle's single-story home seems to have been adapted to the Queensland climate with the addition of wide verandahs surrounding the house, while Lutwyche's home was a very English, Tudor-styled two-storey building. The combination of the two men turned out to be a boon to the local court scene, however. Sir James's biography says this about them: "With courtesy but great firmness he persuaded Lutwyche to stop airing in the press his grievances against parliament; later the two became firm friends." They collaborated on important issues of law reform for the colony.